British siblings 2:54 have an album called The Other I due out on November 11 through Bella Union, and they've just shared a video for the track "Blindfold." The song is a punchy indie rocker that delivers simmering drama with a downcast sense of detachment. 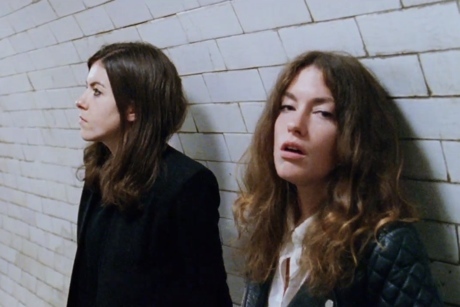 The accompanying video is a rather muted affair, as we see sisters Colette and Hannah Thurlow hanging out in pedestrian tunnels in subway stations and loitering outside of a looming block of apartment buildings. We also witness a rather shadowy full-band performance.